It's hard to get two guys to say "I love you" to one another. Even when it's a father to a son. 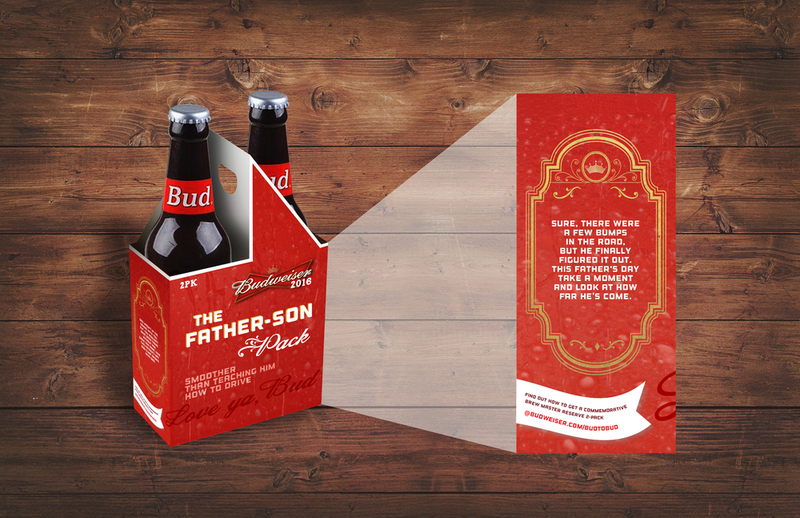 Starting this Father's Day, Budweiser sets the standard for bonding with your bud. 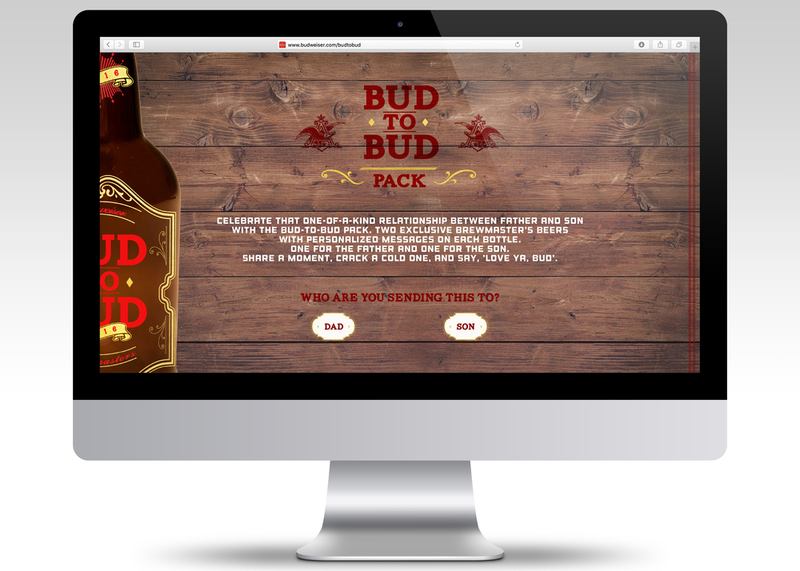 To kickstart the Bud-To-Bud campaign, limited edition consumer 2-packs would be featured in stores leading up to Father's Day. 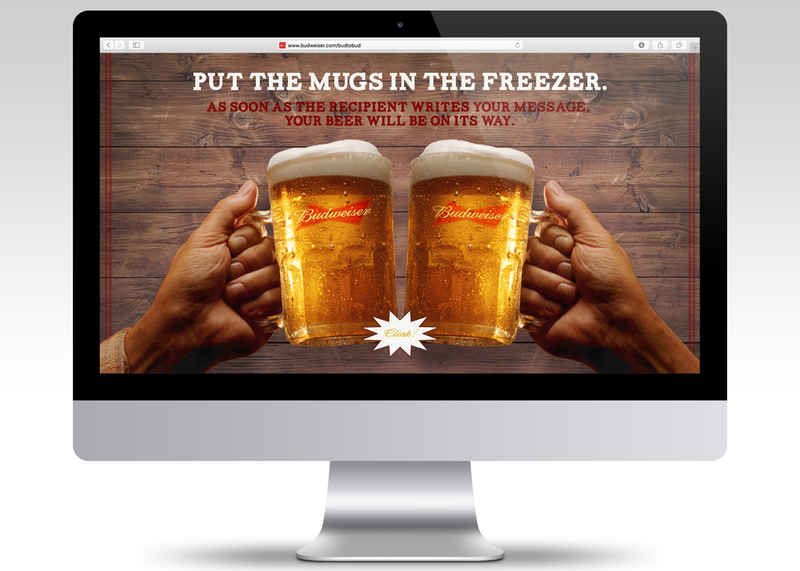 For those who want to make this Father's Day a special one, Budweiser has created a Brewmaster's Reserve, commemorative 24oz. 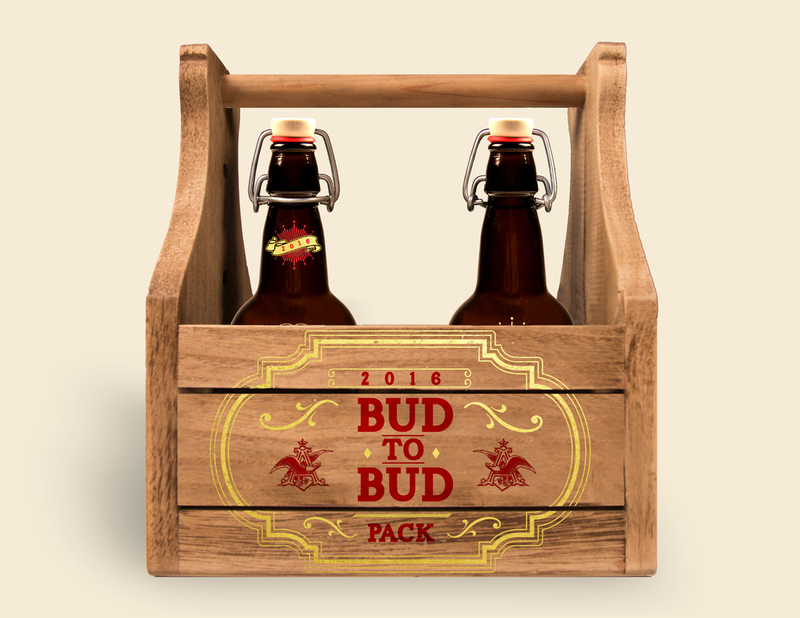 2-pack pack. 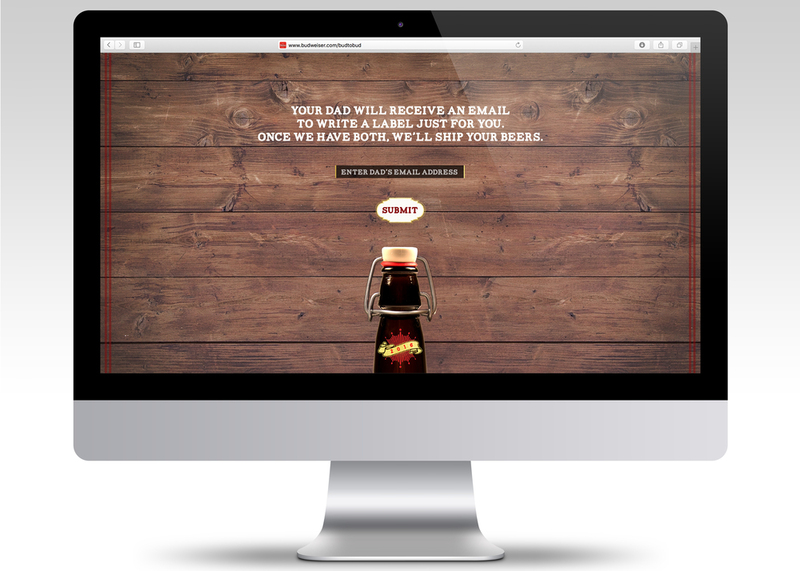 Fathers and sons will be able to create personalized bottles, commemorating stories and messages.